A team of researchers set up a series of motion activated cameras in northwestern Australia to study crocodiles last May, but when they discovered why one of their cameras ended up 70 miles away, they couldn’t help but to share it with the entire internet! At some point between then and now, a common white-bellied sea eagle snatched the camera from the riverbank, flew for a long while, dropped it alongside the rocky Margret River and seemed to enjoy taking a little video of itself. Aww! This juvenile sea eagle was probably using the camera to test out his hunting skills. Although these birds of prey normally finish off their catch by dropping it from a significant height, this thieving eagle snatched and set the camera down relatively gently. We’re just lucky that it wasn’t an adult white-bellied sea eagle, or else this camera probably would’ve been smashed to pieces by now! Either way, the crocodile researchers plan on bolting down their recording equipment from now on. Live and learn, right, guys? 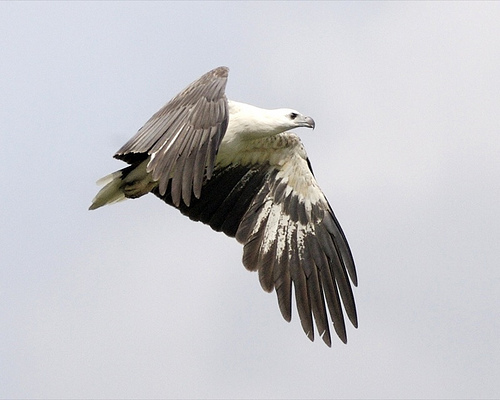 The ICUN estimates that there are between 10,000 and 100,000 white-bellied sea eagles throughout coastal regions of Australia and Southeast Asia, giving them the “least concern” conservation status. 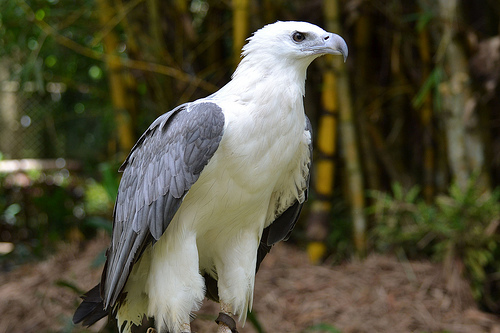 These sea eagles mostly hunt fish, frogs, water birds and turtles, and fully grown adults sport a seven foot wide wingspan. Australia’s sea eagles are also known to mate for life, and lay a pair of eggs each breeding season. Robot Jockeys Race Camels In Middle East!